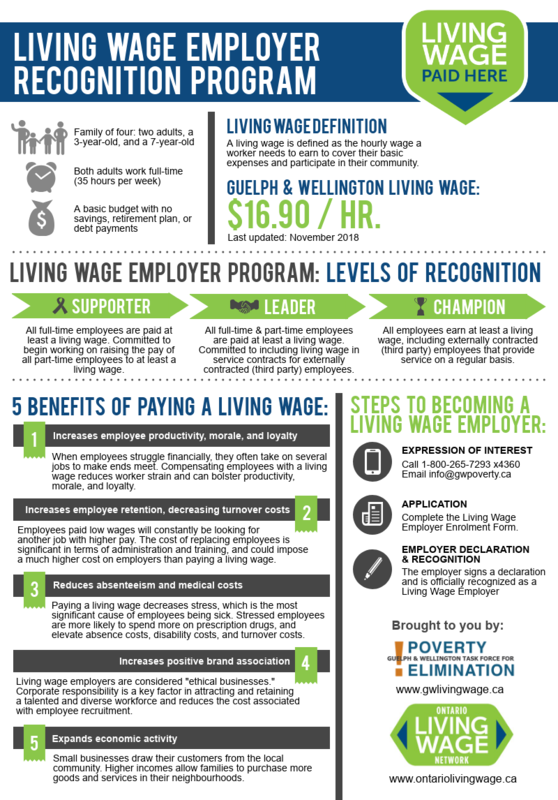 Become a recognized Living Wage Employer! Thank you for your interest in being a part of the living wage movement! The Ontario Living Wage Network’s Living Wage Employer Recognition Program recognizes and celebrates employers across the province that pay their direct and indirect employees a living wage. Express interest on the Ontario Living Wage Network website.